Netflix announced Tuesday it is picking up an as yet unnamed show that will run for six episodes. Will he be bringing the Top 10 list and stupid human tricks back with him? 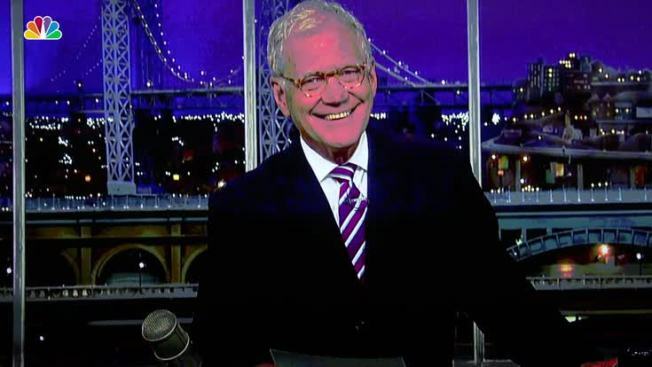 Just two years removed from hosting the "Late Show" on CBS, David Letterman is cutting short his retirement with a grand return to television courtesy of Netflix. Netflix announced Tuesday it was picking up an as yet unnamed show that will run for six episodes beginning in 2018. Letterman said in a statement, "I feel excited and lucky to be working on this project for Netflix. Here’s what I have learned, if you retire to spend more time with your family, check with your family first. Thanks for watching, drive safely." "Just meeting David Letterman was a thrill; imagine how exciting it is for me to announce that we will be working together," said Ted Sarandos, Chief Content Officer, Netflix. “David Letterman is a true television icon, and I can’t wait to see him out in the wild, out from behind the desk and interviewing the people he finds most interesting. We’ll have to see if he keeps the beard."